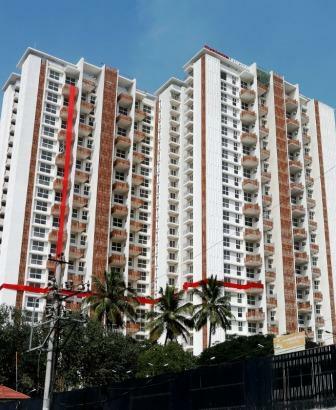 BENGALURU Mahindra Lifespace Developers Limited (‘MLDL’), the real estate and infrastructure development arm of the Mahindra Group, has begun handing over homes in Phase 1 of its maiden premium residential project ‘Windchimes’ in Bengaluru. Windchimes is located on Bannerghatta Main Road, adjacent to the proposed Metro Phase 2 line, and comprises four towers spread across 5.85 acres. 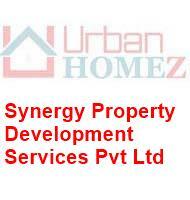 The project is being developed in two phases and offers 400 thoughtfully designed, spacious and airy apartments in 3 and 4 BHK configurations. Home owners at Windchimes came together for a specially curated evening of stand-up comedy and live music to mark the commencement of handovers at the project. Customers, family members and friends were treated to a unique ‘gift-wrap reveal’ of Windchimes Tower 1. The ‘gift-wrapped’ buildings even caused passers-by to stop and take photos! Rahul Gupta, Business Head (Residential - South), Mahindra Lifespace Developers Ltd., said, “We are delighted to begin handovers at our very first project in Bengaluru, which is an important focus market for us. We welcome all residents of Windchimes and thank them for placing their trust and confidence in Mahindra Lifespaces." Windchimes is less than a kilometre away from the upcoming IIM Bangalore and Hulimavu metro stations. The project is conveniently connected to nearby prime residential and commercial corridors, including workplaces, schools, hospitals, malls and retail outlets. In keeping with Mahindra Lifespaces’ focus on quality living spaces that enable Joyful Homecomings and a balanced lifestyle, the project has been designed around the theme of 'Listen to Life Everyday' and offers over 80% open spaces. Residents can indulge in various sports and recreational activities with facilities such as a clubhouse with party hall, gym, spa, swimming pool and sports activity areas amidst lush, landscaped gardens. Windchimes has been designed to be environmentally conscious and incorporates solar water heating systems; optimal-flow water fixtures; over 50% rainwater harvesting; water meters in every apartment (pay as per usage); STP (sewage treatment plant) facilities; electrical charging points in parking areas, organic waste treatment; and unit-level segregation of waste. Windchimes is also differently-abled friendly, with preferred parking and dedicated restrooms. It is IGBC pre-certified ‘Platinum’ and one of Bengaluru’s first few ‘green’ residential projects. About Mahindra Lifespace Developers Ltd. : Established in 1994, Mahindra Lifespace Developers Ltd. is the real estate and infrastructure development business of the USD 20.7 billion Mahindra Group, and a pioneer of sustainable urbanisation in India. 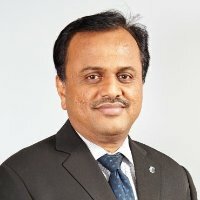 The Company is committed to transforming India’s urban landscape through its residential developments under the ‘Mahindra Lifespaces’ and ‘Happinest’ brands; and through its integrated cities and industrial clusters under the ‘Mahindra World City’ and ‘ORIGINS by Mahindra World City’ brands. Mahindra Lifespaces delivers innovative customer-focused solutions that are rooted in a legacy of trust and transparency. The Company’s development footprint spans 23 million sq. ft. (2.133 million sq. m.) of completed, ongoing and forthcoming residential projects across seven Indian cities; and over 4960 acres of ongoing and forthcoming projects under development/management at its integrated developments / industrial clusters in four cities. 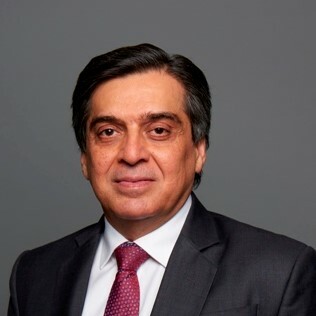 About Mahindra : The Mahindra Group is a USD 20.7 billion federation of companies that enables people to rise through innovative mobility solutions, driving rural prosperity, enhancing urban living, nurturing new businesses and fostering communities. It enjoys a leadership position in utility vehicles, information technology, financial services and vacation ownership in India and is the world’s largest tractor company, by volume. It also enjoys a strong presence in agribusiness, aerospace, commercial vehicles, components, defense, logistics, real estate, renewable energy, speedboats and steel, amongst other businesses. 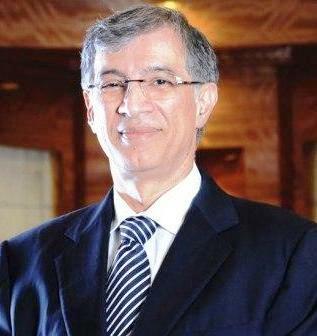 Headquartered in India, Mahindra employs over 2,40,000 people across 100 countries.